Oh boy do we have the home of your dreams! Amazing interiors? Y E S.
Don't believe us? Scroll down! 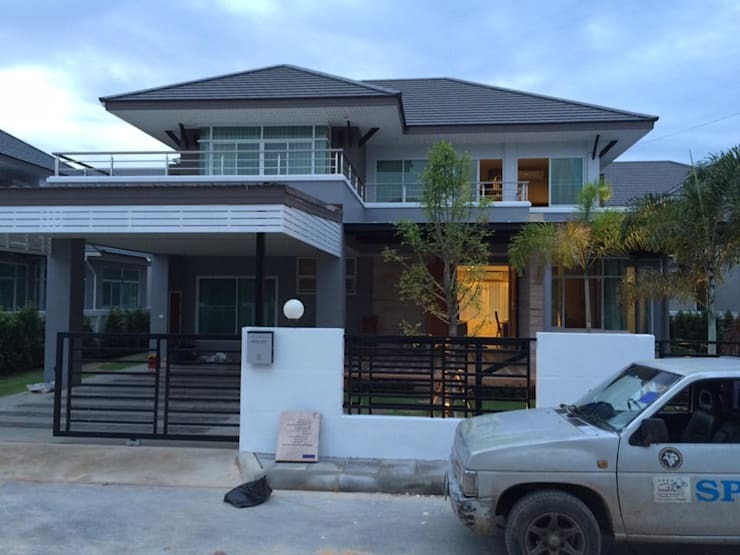 The house is a modern two-storey home. The entrance is quite a lot like a park with a cute little garden with trees to help improve the ambiance of the home. Even the shape and form of the trees were cut to match the house's modern feel. Want more homify articles? Click here! The bedroom is a room for relaxation. 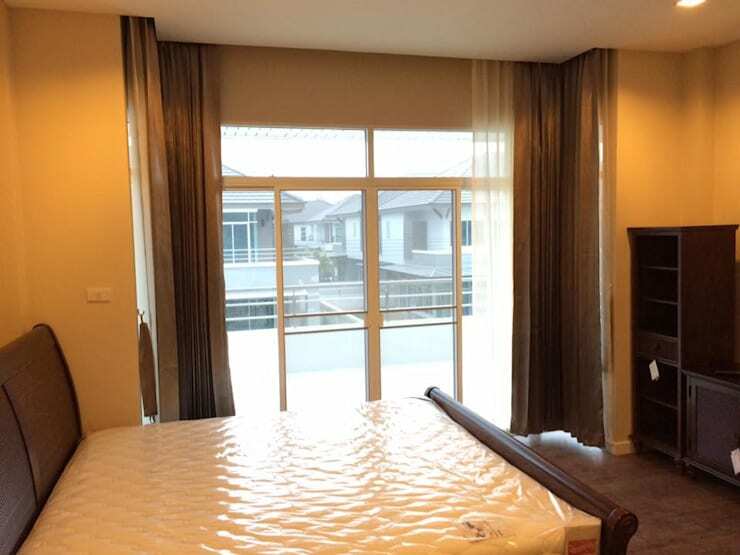 To create a relaxing bedroom atmosphere, the furniture and curtains were picked out carefully. The curtains are white and brown blackout curtains. Need help to achieve this look? Click here! Bathrooms need privacy, that's a fact. 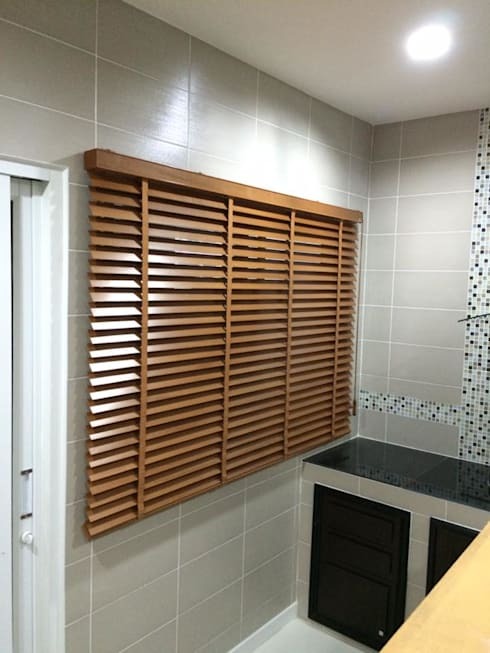 These privacy blinds can be used for decoration, according to taste. 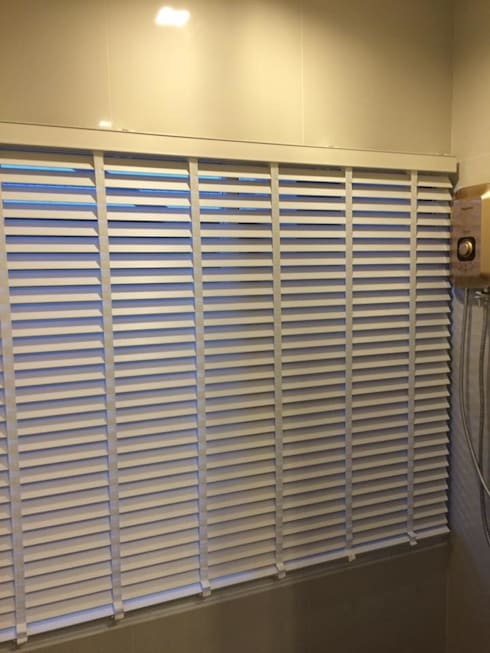 You can choose to customize your blinds the way you want to. Just make sure that the material is durable to withstand water and humidity. The dining area here was designed facilitate natural air circulation from outside . Also, the huge sliding doors enable to natural light to brighten up the area. 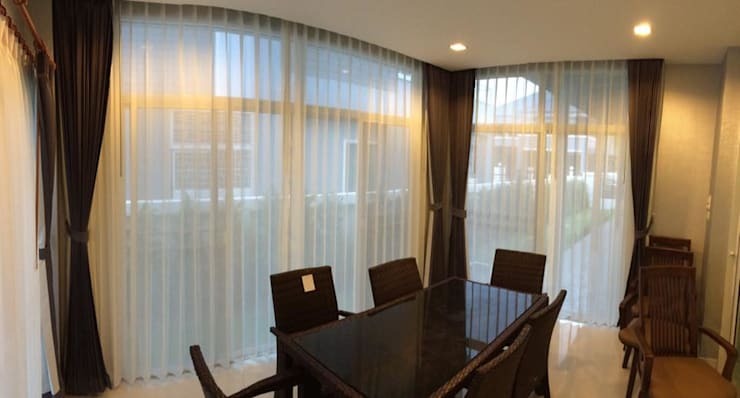 The use of sheer curtains serve as concealment from the eyes of people outside. 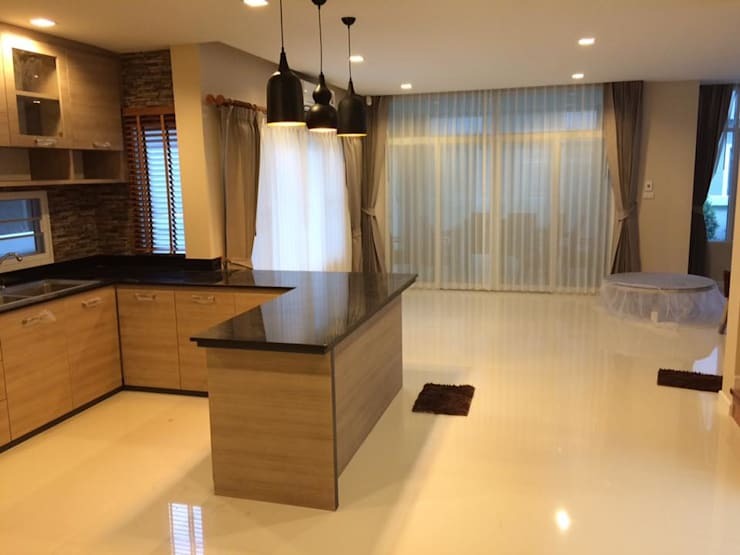 The kitchen is designed to blend in with the house's style. Choose light brown wooden doors, natural materials and black panels. Look at this beauty! 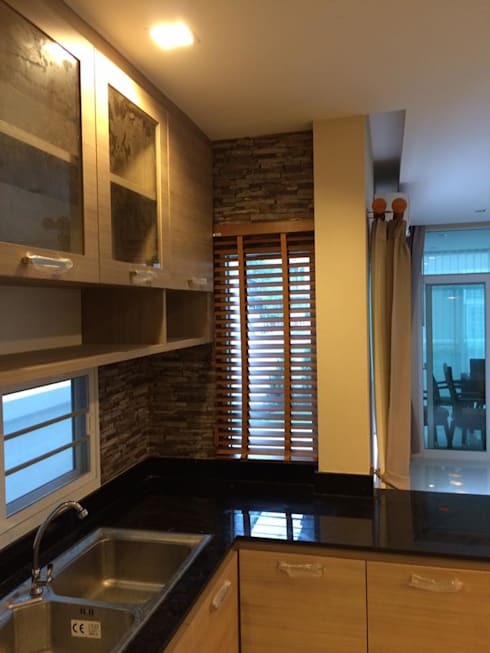 Wall cabinets add functionality to the kitchen, and they are cost-effective too! One wall is designed with warm natural stones for a more relaxed design. Kitchen counter top is L-shaped. 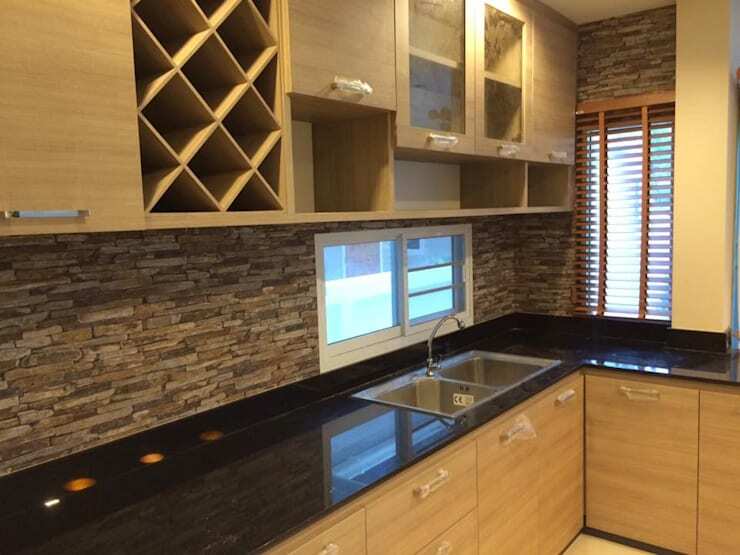 Light brown wood trim on the door panels and black granite spell out balance in this modern kitchen. Add a window above the sink for lighting. Door mirrors add a touch of beauty in this place. It also has a wine cellar as well. PERFECT! Oh, the Philippines. Our tropical climate makes homes vulnerable to mosquitoes, unfortunately. No problem! 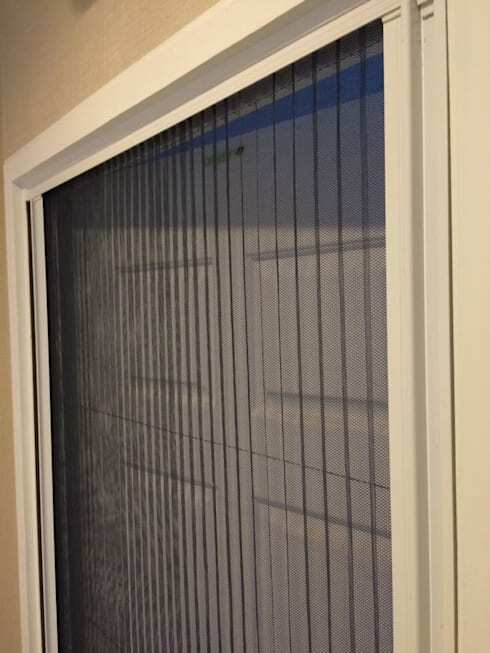 Screen doors and windows are perfect to hinder the entrance of mosquitoes and other insects while still allowing natural air and light fill the home. Amp up your dirty kitchen! In addition to the kitchen inside the beautiful house, it also has a dirty kitchen for heavy cooking outside. The bad rep of dirty kitchen being gross and not at all pretty is ERASED. 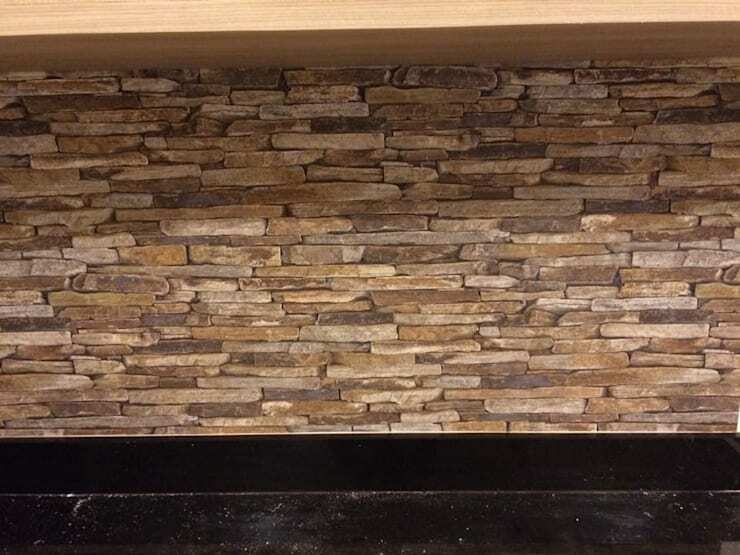 Natural stone walls add warmth in the kitchen's atmosphere. Another charming feature to add to a kitchen to make it more attractive! Looking for more inspiration? Click here!